All about zebra. The best places to see plains, mountain and Grevy’s zebras in the wild. How to identify the plains, mountain and Grevy’s zebra. 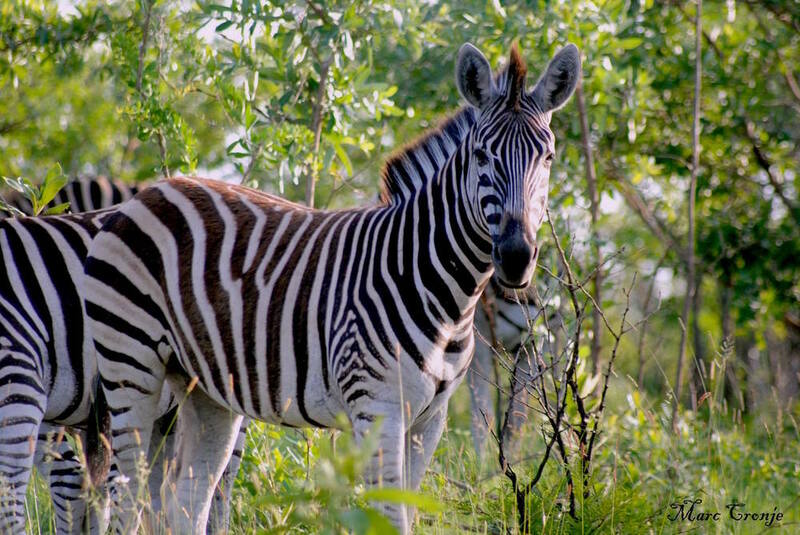 Zebra conservation status and initiatives. Zebra fun facts. Zebra life cycle, behavior, and communication. Baby zebras. Beautiful zebra photography. All about Zebras. Zebra life cycle, zebra conservation, and where to see all three zebra species, the plains zebra, Grevy's zebra, and the mountain zebra in the wild. 1. The longest migration: Recently discovered through radio collaring, a small group of Burchell’s zebras make the longest known migration of any mammal in Africa – but it’s not in the Serengeti. They walk 300 miles from the Chobe River in Namibia to the Nxai Pan, Botswana and back again. 2. The tail that got away: Sometimes when two males fight over a female one will bite off the other’s tail. Not only does the tailless stallion usually loose the girl, he also has a permanent reminder in the form of biting flies he cannot switch away. 3. Ankle foul: Aggressive males (again when fighting for the ladies) have been known to fall to their knees (actually wrists) and bite each other ankles. 4. Cool down: More concentrated capillaries under black stripes causes them to get hotter than the white. Little air currents, like mini-winds, form between the stripes and may help to cool zebras down. Plains zebra: Also called the common zebra or the painted zebra and sometimes Burchell’s zebra, but actually Burchell’s is the name of one of the plains zebra's six subspecies. Mountain zebra: Does not have any other names that we are aware of; if you are familiar with a nick-name for mountain zebras, please let us know and we will add them to our list. See the end of the article: "More on Zebra Species and Subspecies" for more information. Grevy’s zebra: Sometimes called the imperial zebra. Zebras may look like horses in stripped pajamas but Equus caballus, like these domestic horses in New Mexico, are merely cousins, Image: ©WolfHorse Outfitters, New Mexico, USA. According to the IUCN Red List there are seven subspecies of zebra currently living. 1. Plains zebra: there are six subspecies of the plains zebra, five existing and one recently extinct. 2. Mountain zebra: there are two subspecies. 3. Grevy’s zebra: There are no subspecies. Please see "More on Zebra Species and Subspecies" at the end of the article for additional details. Horses and donkeys are the zebra's closest living relatives. Overall, zebras are assessed as Least Concern, but within the three species and their subspecies there are huge number differences, some dangerously low and one species, the Grevy’s zebra, is separately assessed as Endangered. See the end of the article "More on Zebra Species and Subspecies" for additional information. How Many Zebra Are Left In the Wild? Various conservation and research groups list somewhat differing population counts for the zebra species and subspecies. For the sake of consistency, in this article unless noted, we are using the IUCN numbers, although they may not be the most current. In 2002 the IUCN assessed the population of the plains zebra to be 660,000 individuals in the wild. 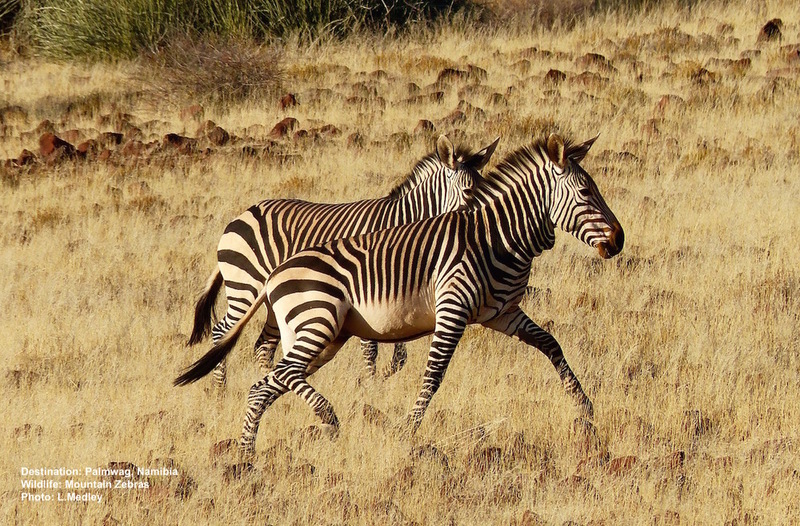 Numbers for the mountain zebra and Grevy’s zebras, both assessed in 2008 , were estimated to be 9,000 and just 750 individuals in the wild respectively. Today, Defenders of Wildlife list the total plains zebra population to be 750,000, good news, but the mountain zebra at a mere 1,300 and Grevy’s at about 1,500 individuals. 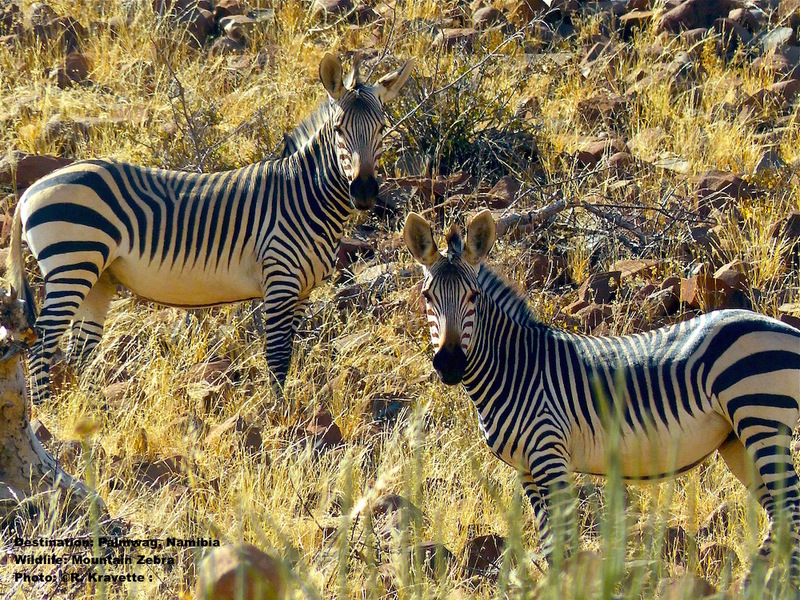 IUCN Red List assessments for zebras species range from Least Concern to Vulnerable to Endangered – however, all zebra subspecies are under pressure from the effects of human habitat encroachment. Expanded farming and domestic animal herding intensify competition for grazing areas and water supply, and the effects of civil unrest and war in parts of their range have taken a heavy toll. Then there is hunting for meat and trophies which still occurs in some areas regardless of law or regulation. Zebras are already extinct in Burundi and Lesotho and possibly also in the Sudan, Angola, and Somalia. Today the plains zebra is the most numerous of the three species, but even its numbers may be shrinking. Grevy’s zebra holds the distinction for one of the most rapid population declines of any mammal in Africa, helped in large part by enthusiasm for its beautiful skin. The Grevy’s zebra lost 55% of its overall population between 1988 and 2007; in Ethiopia roughly 94% of their total population was lost from1980 to 2003. The spread of community-based conservation, helped in a large part by responsible tourism practices, is helping to stabilize some herds. New information on their migration habits, especially in the western parts of Africa, and the establishment of transnational reserves may help. In the eastern part of Africa two organizations are working to bring the Grevy's zebra back from the brink. In Kenya the Lewa Conservancy studies and protects (and invites visitors to view) over 300 of these rare and beautiful animals. The Grevy’s Zebra Trust, working in Kenya and Ethiopia is also having very promising results by involving the local communities in all facets of land and species conservation while investing in projects for the community’s well being. They run conservation and awareness workshops, acknowledge locals as "Heroes" for helping a wounded or sick animal, give full or part-time employment to locals, including women, as "scouts" and "Ambassadors". They work with Samburu warriors, especially young men coming-of-age, teaching and involving them in conservation efforts. Habitat management and rebuilding, water management, education for the youth and more are all part of the Grevy's Trust mission of long-term sustainable preservation of the animals and the land. See “More on Zebra Species and Subspecies. Grevy’s Zebra” at the end of this article for additional information. Grevy’s zebra is the largest overall, plains zebra the smallest, and mountain zebra in the middle. Basically zebras look like smallish, stocky horses in stripped pajamas. All three species have black stripes on a white background, but the plains zebra have brownish shadow striping between the black. Look for the black circle patches, called “chestnuts” on their inner forelegs. When zebras sit with their legs folded under, these callouses protect their skin from their own sharp hooves. Plains zebra: Even on this young foal, the stripes around his belly are obvious, as are the shadow stripes between the black. Destination: Kruger National Park, South Africa. Image: ©Marc Cronje Independent Field Guide. What’s the easiest way to tell the species apart? First Look at their bellies. Plains zebras: Zebras, with stripes that cover their sides and meet in the center of their bellies are plains zebras. They are apparent even on the foals like this one to the right. The black stripes can fade and even disappear altogether as they go down the legs. They have shadow stripes between the black. Their necks are smooth underneath - no dewlap. Look at their noses too. The plains zebra has a black nose with stripes meeting it. Mountain Zebras have distinct white bellies - with a dividing line. They have a brown patch on their nose and stripes all the way down to their hooves. Image: R.Kravette Destination: Palmwag, Namibia. Mountain Zebras: The mountain zebra’s vertical stripes stop at their sides leaving a white-belly with a single black stripe running down the center from neck to tail. There is usually no shadow stripe between the dark stripes, and the stripes stay distinct all the way down the legs. They have a dewlap (look for an obvious hanging fold of skin) under their necks; these are usually more pronounced in the males.Their noses have a chestnut or brown colored patch above the black. Grevy's Zebra: The Grevy's zebra's stripes are the thinnest and most delicate of all three species - this is especially evident at the rump area. Grevy’s zebra has a snow-white belly. The stripes are always distinctively black and white - no shadow striping for the Grevy's zebra. They are the largest zebra species, with oval shaped ears that are much bigger than their plains or mountain zebra cousins. They have a white patch above a brown patch that sits above their black nose. Distinctions at a Glance: Look for white bellies on mountain and Grevy's species. Only the mountain zebra has a dewlap on its throat. Mountain zebra’s and Grevy’s zebra stripe pattern are clean with no shadow stripe. Grevy’s zebra’s stripes are the thinnest and most delicate and their ears are the largest and rounded. See the end of the article: "More on Zebra Species and Subspecies" for additional details. All three species are relatively long lived, 25 years in the wild, up to 40 in captivity. They mate all year and have one foal after a 12-13 month gestation. The young are kept away from all other herd members until they are 2-3 days old. It is thought that this gives the babies time to imprint their mother’s facial stripes, voice and scent. They are weaned at a little under a year old. Females mature by five and the males by six years. Zebras are herbivorous, and have large teeth suitable for grazing a wide range of foliage, vegetation and grasses. Plains and mountain zebras live in family herds lead by a single stallion and a dominant mare. They are a social but hierarchical society. Watch them as they walk. The dominant mare will lead, followed by her young, and then the subordinate mares, and then the young adults following them in line. Grevy’s zebras are more solitary. The males mostly live alone and are the only zebra species to scent mark a territory. Individuals, including mothers with young, and small groups come together frequently. Often two zebras will rest with their heads on each other’s necks facing in opposite directions probably as a "safety in numbers” precaution. They show affection in this stance by grooming each other with little bites or licks. But watch for flattened back ears, a sign of annoyance. They may also “bark” a warning. Zebras love a good dust bath. They roll around in it possibly to get rid of parasites and itchy skin. In some areas like Namibia this can give them a confusing red tint. There is a lot of tail swishing among zebras, as their black stripes tend to draw biting flies. This creates life long bother for males who’ve lost their tails to rivals. Zebras can sleep standing up. Zebras communicate with an almost "barking" sound. Plains zebra, Image: ©Marc Cronje, Independent Field guide, African wildlife specialist. Listen for vocalizations including a sound almost like a bark. They also snort, whinny and use facial expressions (pulled back lips etc.) like their horse and donkey cousins. Although there numbers are declining, Zebra species can still be found in both protected and some unprotected areas. They historically lived in the full range of African habitats from sea level to 4,300 feet (1310 m) on Mount Kenya. Some populations are migratory, driven by rainfall and water sources. Over all, zebras like open areas with short grasses for better grazing and predator spotting. The three species each have their own preferences that range from grassland savanna to more mountainous areas. They are not found in the desert, but the plains and mountain zebras are found in some of the arid, not-quite-desert regions of Namibia. They need a water supply but do not like wetlands. See the “More on Zebra Species and Subspecies” section at the end of the article for additional information. Human encroachment and hunting pose the greatest threat to wild zebras. Their natural enemies include lion, painted dog, leopard, and hyena. It is thought that when they are in a herd, their stripes make it difficult to identify individuals. As with most species the very young are the most vulnerable, 50% fall prey in their first year – but adult zebras with their strong defensive kick are a lot of work for most predators. One early morning, just as the sun rose up from the mountains, filling the valley with pink/yellow light, we gathered on the boardwalk at the edge of one of the very scarce water holes in this semi-desert region. The lodge’s wildlife guide had already arrived. Palmwag is the oldest lodge in Namibia's arid Damaraland region. Nestled next to a spring near the Uniab River, surrounded by tall grasses and palm trees, it is a real oasis - a life line for both humans and wildlife. Our guide had already been there for over an hour, well before the sun came up. We learned later that his extremely early arrival was to ensure that his guests (us) didn’t startle – or get startled by – some of that wildlife, including the desert elephants and lions that drop by to drink and cool off in the tall grass. Our route took us over the little wooden bridge, past the “Beware of Elephants” sign, and up a grassy path winding to a plateau. There, high above the valley the guide stopped to show us tracks - zebra! He told us to be quiet. Watch. And listen. There! The wind blew over a sound from far away, a kind of bark. We looked out and down at the huge expanse of rocks and sand and little clumps of spindly grasses and 1000-year old Welwitschias plants. Zebras were filling the valley. Again the sound wafted up. The zebras were calling - warning each other - perhaps about us? But they were in the valley and we were on the ridge and after awhile they must have understood that these two-legged interlopers were staying put. The zebras relaxed and quieted and concentrated on making their breakfast from the coarse, dry grass. We watched for a couple of hours, stripes mingled and separated and mingled again. Springbok and kudu joined them in the valley. Then, with the sun getting hotter and higher in the sky, we finally headed back to the lodge to find our own morning repast. Plains Zebras: Plains zebras are the most numerous of the species and can be found across Africa, although mostly in protected areas. Grevy's Zebra: Much harder to see due to its severely limited numbers; try the Lewa Wildlife Conservancy. A UNESCO World Heritage site, a Man and Biosphere reserve, the site of archeologists Louis and Mary Leakey’s early human discoveries, and the site of the amazing annual migration of huge herds of wildebeest and zebra. Wildlife Bonus: Black rhino, lion, wildebeest, eland, Cape buffalo, hyena, jackal, gazelles, and over 500 species of birds. We counted 17 lions in this pride, including 2 huge males and 5 cubs. Just finishing up a kill, they were all lounging around this waterhole. Destination: Etosha National Park. Image © L. Medley. After your daytime game drives, where zebra herds can be observed in all manner of behaviors, grazing, nestling each other, and rolling in dust, settle into one of the benches strategically set out, and watch the show at the lighted water hole at the Okaukuejo camp. It is a favorite of night active species. We saw both black and white rhino species and their calves enjoying an evening drink during our stay. This is also where you may be able to see both the plains and mountain zebra species in one place. 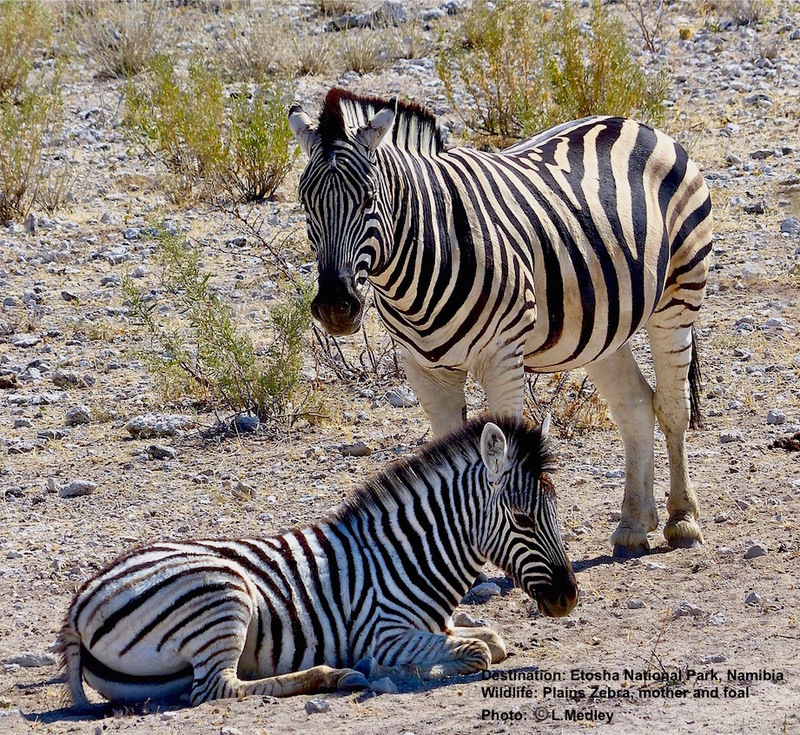 Look for the white bellies of the mountain zebra and the stripped bellies of the plains zebra. Wildlife Bonus: Elephant, black and white rhino species, giraffe, kudu, springbok, lion, and leopard. South Africa: Kruger National Park. Leopard resting. Destination: Kruger National Park, South Africa. To the delight of his clients, Marc seems to have a sixth sense as to where to find these gorgeous cats. Photo: ©MArc Cronje, Independent Field guide, African wildlife specialist. Kruger National Park is a great all year destination with their winter (May through September) probably being the most comfortable for the weather as well as for viewing. Less foliage means wildlife is easier to spot. This is a good destination for family and multi-generation safaris. Kruger Park is huge, actually the size of Wales or Israel, with an estimated 4,814,720 protected acres (1,948,448 hectares) to explore, you are guaranteed to see amazing numbers of wildlife species, including both African rhino species. Look in the southern regions for the white rhino. Here also, painted dogs have the physical roaming area they need and it is estimated that between 400 and 500 of these endangered animals make the park their home. The dogs tend to be found all over in the park’s mixed woodlands and savannas, but the southwest section seems to be their favorite. In 1982 the Craig family set aside 5,000 acres (2,023 hectares) of their ranch for wildlife conservation, specifically the protection of black rhino. Today, all 62,000 acres (25,090 hectares) are protected, and Lewa is a model of conservation and responsible wildlife tourism. Lewa was included in the Mount Kenya UNESCO World Heritage site in 2013. Lewa, working closely with the Grevy’s Zebra Trust and other partners, is also instrumental in protecting the endangered Grevy's zebra with over 12% of the remaining total population residing on their Conservancy lands. The Conservancy houses 66 black rhino and 62 white rhino as of this writing, in fact you are invited to help support their conservation, protection, and research by adopting one. For a very different and unforgettable experience try a Lewa camel safari. Lewa is a very responsible provider of safari and wildlife experiences. Wildlife Bonus: Cape buffalo, elephant, black and white rhino, painted dog, lion, cheetah,leopard along with their multi-species antelope prey, and 350 bird species. The Palmwag concession in Namibia’s Damaraland is a 1,930 square mile (5,000 sq.Km) semi-desert reserve a 4 to 5-hour drive west of the more wildlife-dense Etosha National Park; however, this is where the very rare desert elephant (but few other tourists) may be seen. These amazing, constantly migrating giants make the spring at Palmwag a regular stop. See our article: “ African Elephants” in the section “What are Desert Elephants” for more information. 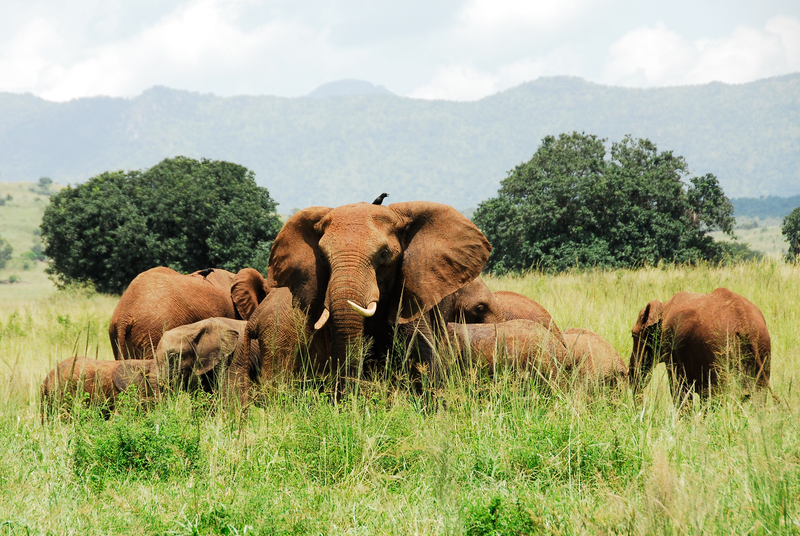 Although there is no guaranty that the elephants will be there when you are, our arrival was a few days after their departure, it is well worth the try. The Palmwag lodge is lovely, the desert landscape fascinating, and guided bush walks and game drives will have you spotting lots of wildlife and, if not the rare, threatened, desert elephants themselves, then plenty of their spore including the squashed “mattresses” and huge foot prints like the ones we saw from the their visit the week before. Along with early morning hikes and game drives, we also took a late afternoon game drive, (never miss one if the opportunity is presented). We watched a herd of Hartman's mountain zebras, including a couple of young foals, interact and play, plus springbok and magnificent kudu all while enjoying the amazing mountainous desert. The late afternoon drive ended on a hill top where we, enveloped in the cool, soft air, sipped wine and watched the sun set over the mountains. While we were at the lodge a family with young children was taking a couple of days break from their safari adventure. The kids were having a great time in the lovely shaded pool (one of two). Palmwag lodge is kid friendly but open to Namibia's vast wilderness and its wildlife, so, as always with young children, keep aware. Wildlife Bonus: Endangered Hartmann’s mountain zebra, desert elephants, desert lions, giraffe, black rhino, cheetah, kudu, springbok, spotted hyena, and the 1000-year old Welwitschia plant. All zebra are not the same. Each species has its own special beauty and identifying traits. Each species also has its preferred habitat and historic range, but it is not unusual for parks and reserves to import animals into their protection from other areas. Before you start your zebra adventure, familiarize yourself with their coat patterns and traits. There is something wonderful in realizing that you are not seeing just any zebra, but a plains (or mountain or Grevy’s) zebra! And your friends will be quite impressed. Respect the zebras’ space. They may look like your neighbor’s pony, but they are wild animals. Do not try to feed or touch them, they kick and bite. Stay very quiet and still; zebras are skittish animals, and if startled or nervous they will bolt, causing a fast exodus of their own herd and that of any antelope or other herbivores grazing with them. There are three distinct zebra species easily recognized by physical and coloring differences. Two of the species have subspecies. All are listed below. IUCN Red List: Least Concern. The plains zebra is by far the most numerous zebra species with, according to Defenders of Wildlife, possibly 750,000 left in the wild. Its five remaining subspecies (a sixth recently became extinct) are not individually IUCN Red List assessed. Plains zebra live in small herds consisting of a stallion and a few mares and young, but sometimes join other families, forming into combined large, even huge, herds. This is especially true during migration. Description: Look for all over wide stripes, including on their bellies. Some plains zebra subspecies have a brownish “shadow” stripe between the black ones. Neither Mountain nor Grey's has the shadow stripe. The nose of the plains zebra is black with stripes leading down to it. The stripes have a tendency to fadeout or even disappear as they go down the legs. Their necks are smooth with no dew lap (extra skin underneath). Size: This is the smallest of the three species ranging from 3.5 to 4.8 feet (1.1 – 1.4 m) at the shoulder. Subspecies: There are six plains zebra subspecies. See below for viewing ideas. Grant’s Zebra: E. q. boehmi. Tanzania's Serengeti is famous for their migrating wildebeest and zebras. 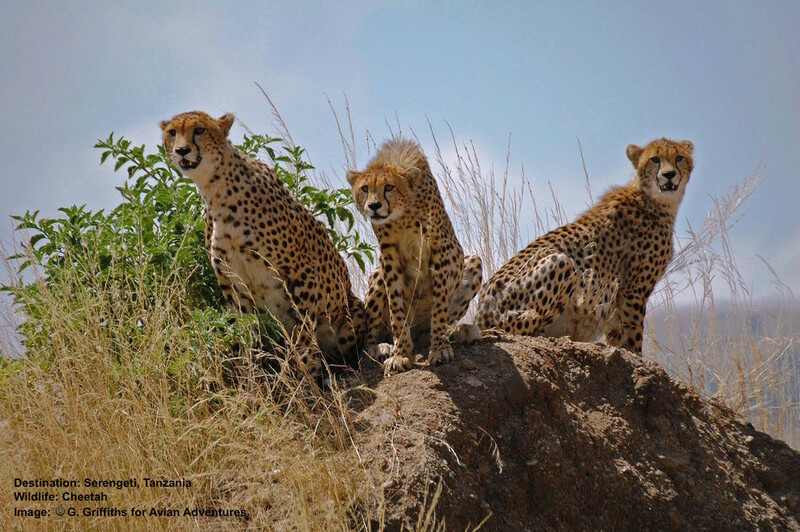 And where there are large groups of prey animals, predators, like these endangered cheetah, are sure to follow. Image: G. Griffiths Avian Adventures. Sometimes Called: Boehm's zebra. Most commonly known today as Grant's Zebra, this subspecies was actually named for Boehm. 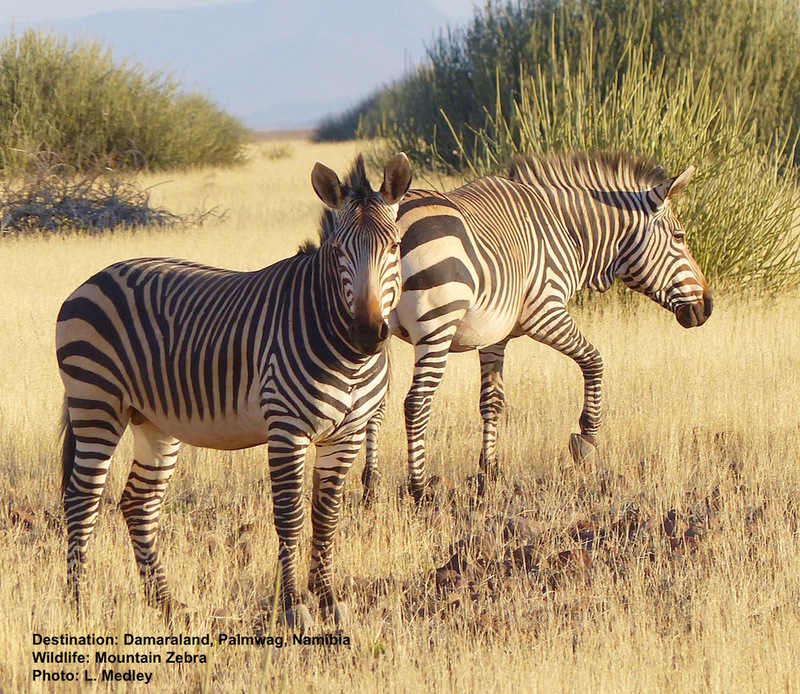 IUNC: According to the IUNC Red List, this subspecies makes up to 75% of plains zebra numbers. It is not individually assessed. Identifying Characteristics: Strong black stripes all over, down to hooves. Few to no shadow stripes. Present Range: Zambia, Democratic Republic of Congo, Tanzania, Kenya, southern Ethiopia, and possibly Somalia. Possible Viewing Destination: Serengeti National Park, Tanzania. This is the land of the great migration. Over 5,700 square miles (14,763 km) of savanna, the Serengeti is home to enormous herds of the Grant’s zebra subspecies. Wildlife Bonus: Elephant, giraffe, wildebeest, Thomson’s gazelle, lion, leopards, cheetah, three jackal species, spotted hyena as well as many lizard species, rock hyrax, and 500 bird species. Identifying Characteristics: Strong shadow stripes including on face and neck and black stripes that fade on the lower leg to the hooves. Possible Viewing Destination: Kidepo Valley National Park, Uganda. Located between Uganda's boarders with Kenya and Sudan, this is the country's most isolated park. A visit here is a very special wildlife experience and helps the local economy and conservation effort. Wildlife Bonus: Home to the endangered Rothschild’s giraffe, lion, elephant, cheetah, Cape buffalo, Jackson’s hartebeest, and 475 bird species. Identifying Characteristics: Narrower stripes than Burchells with no visible shadow stripe. Black stripes are strong right down to the hooves. Present Range: Zambia, Tanzania, and Mozambique. 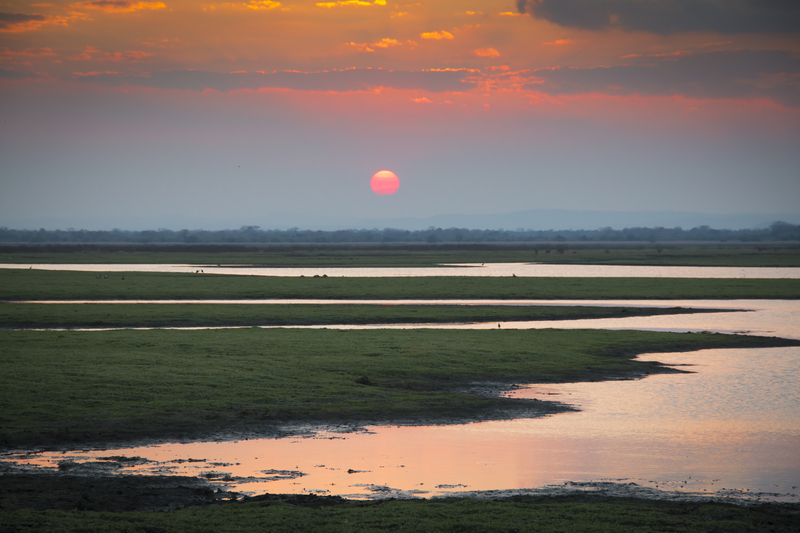 Possible Viewing Destination: Gorongosa National Park, Mozambique. Gorongosa is one of those miraculous back-from-the-brink conservation stories. After years of civil unrest and war, it is now welcoming tourists to enjoy their abundant recovering wildlife populations. Wildlife Bonus: Lion, elephant, Nile crocodile, hippopotamus, reedbuck, waterbuck, and unique chameleons and lizards and bird species. Identifying Characteristics: Stubby, minimal mane. The only zebra without a full mane. No shadow stripe. Strong stripes to hooves. Present Range: Parts of Kenya, Uganda, and Sudan. Possible Viewing Destination: Kidepo Valley National Park, Uganda. Although not specifically listed on their web site, there are many reports and tourist photos of the maneless zebra here. Located between Uganda's boarders with Kenya and Sudan, this is the country's most isolated park. A visit here is a very special wildlife experience and helps the local economy and conservation effort. Wildlife Bonus: Lion, leopard, cheetah, bat eared fox, aard wolf, kudu, eland, spotted hyena, and black-backed and side-striped jackals, elephant, Burchell’s zebra, Rothschild’s giraffe, Cape buffalo, defassa waterbuck, Bohor reedbuck, Jackson’s hartebeest, and oribi. 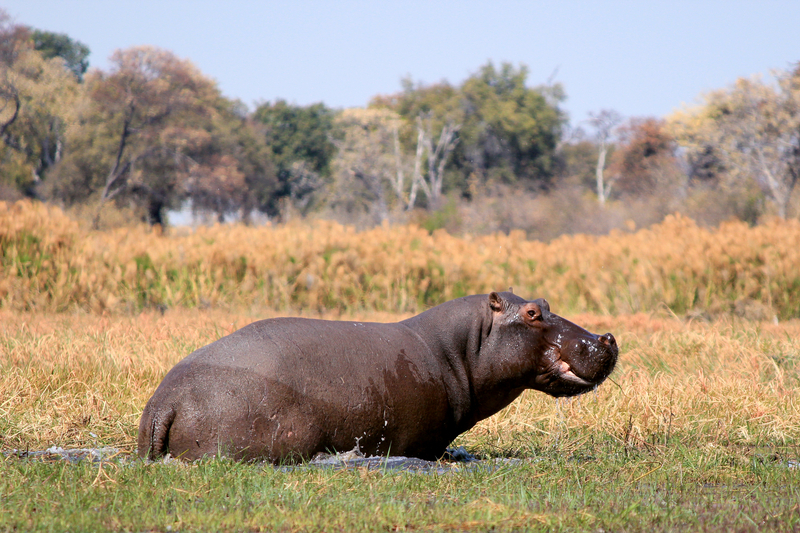 Namibia is known as arid semi-desert and desert, but the Caprivi Strip, a 280 mile (451 km) pan handle that runs between the boarders of Angola and Botswana, is wet and lush - and is home to hippos as well as zebras. Identifying Characteristics: Shadow stripes on body but not on face or neck. Their stripes fade toward the hooves. Present Range: Parts of South Africa, Zimbabwe, southern Botswana, Namibia’s Caprivi Strip, and possibly southern Angola. Possible Viewing Destination: Mahango Game Reserve, Namibia. Located on the Caprivi Strip, this is an unusual part of mostly arid Namibia. Here, in a sliver of land between Angola and Botswana, you will find three distinct habitats: river, dry woodlands, and open grassland. Go during the dry season between April and November. This is one area of Namibia where you need to be aware of mosquitoes. Wildlife Bonus: Elephant herds migrating between here and Angola, hippopotamus, crocodile, lion, leopard, African painted dog, vervet monkey, tsessebe, sable and roan antelopes and over 400 bird species. IUCN Red List: Vulnerable. According to the IUCN Red List their assessment has improved from Endangered to Vulnerable as per their 2015 downloadable figures, however, their true total numbers may be anywhere from 9,000 (IUNC Red List) to the 3,000 stated by Defenders of Wildlife and assorted other sources. The IUCN does not assess the two mountain zebra subspecies separately, although the Cape zebra is thought to number fewer than Hartman’s. They live in small herds similar to plains zebras. Description: Their black and white stripes (usually no shadow stripe) are thinner than plains zebras’, but wider than Grevy’s zebra, broader on their rump and running all the way down their leg to the hooves. Look for white bellies with a black center stripe chest to tail and their signature dewlap or fold of skin on their throats. Their noses have a chestnut colored or brown patch above the black. 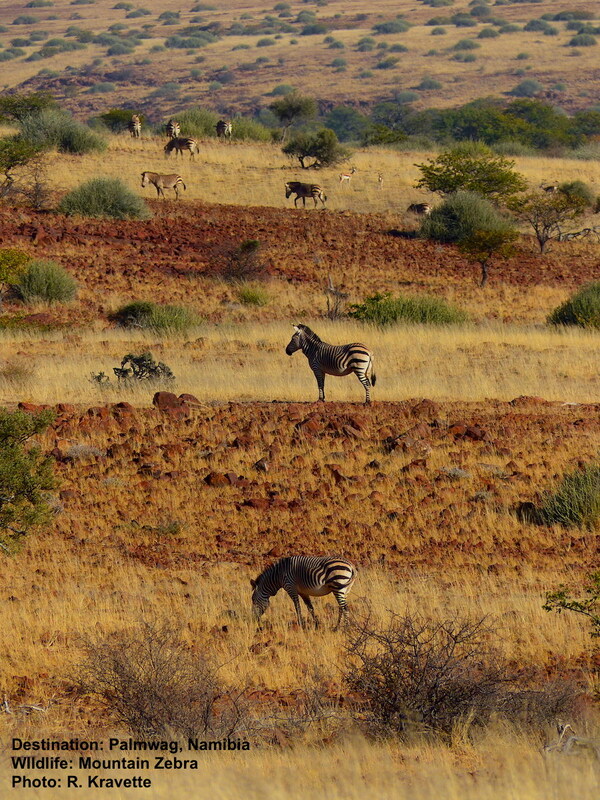 The ears on the mountain zebra are larger than the plains' but smaller than the Grevy's. The red tinge you see on them is strictly from the red-tinted earth they roll in. Size: This is the mid-sized zebra ranging from 3.8 – 4.9 feet (1.2 -1.5 m) at the shoulder. Subspecies: There are two mountain zebra subspecies: See below for viewing ideas. Identifying Characteristics: Larger in size than Cape mountain zebra. Dewlap under chin, white belly, no shadow stripes, strong stripes to hooves. Brown/orangish patch on nose. Present Range: Parts of Namibia and South Africa mostly in the more mountainous region and formerly in Angola. According to some sources there may be as few as 2,100 left in the wild. Possible Viewing Destination: Augrabies Falls National Park, South Africa. This is a wonderful, uncrowded park where you can view wildlife in vehicles or on the boardwalk and nature trails. 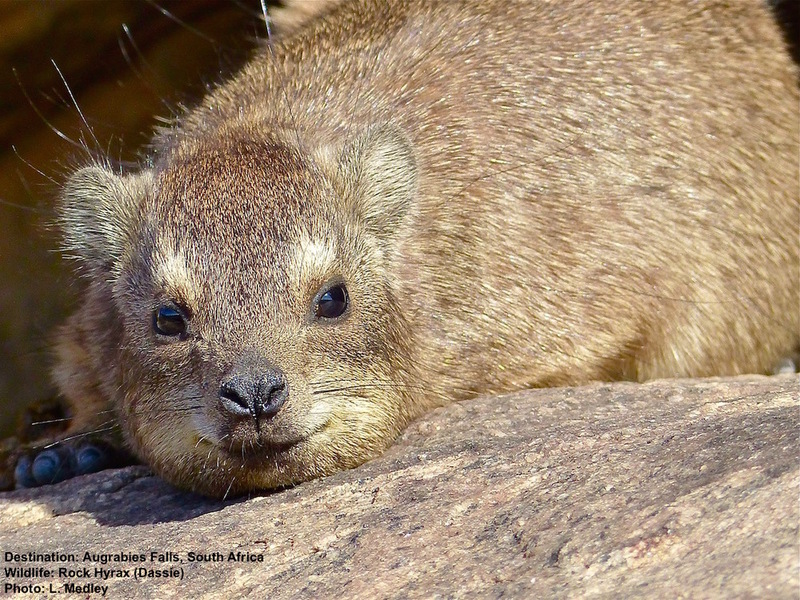 Enjoy the wheelchair access boardwalk where you can meet rock hyrax families and the rainbow colored Broadley’s lizard up close. While we were there the chacma baboons put on quite a show. Stay in the park's comfortable cabins. 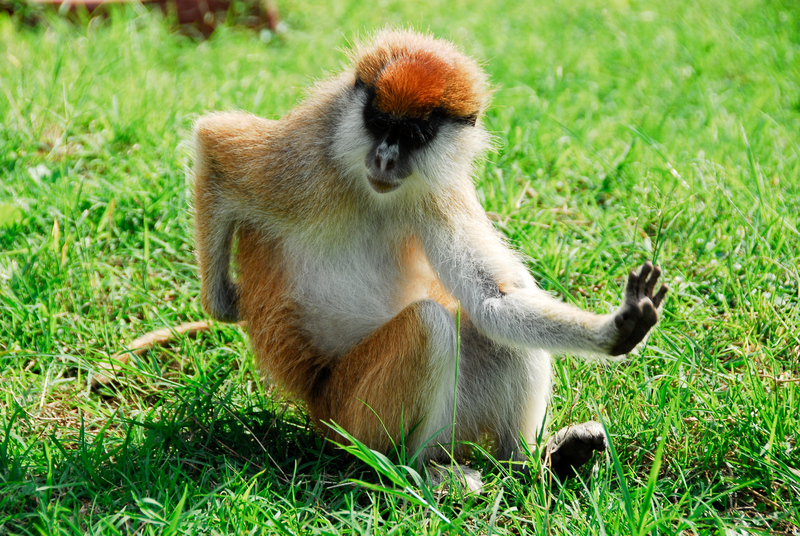 This is a great place for experiencing nature and wildlife on foot as well as on game drives, self-directed or guided walks and hikes are available and encouraged. Wildlife Bonus: Chacma baboons, bat eared fox, rock hyrax, Broadley’s flat lizard, klipspringer, and Cape clawless otter. Identifying Characteristics: Smaller in size than Hartmann's mountain zebra. Dewlap under chin, white belly, no shadow stripes, strong stripes to hooves. Brown/orangish patch on nose. Present range: Parts of South Africa. According to some sources there may be as few as 1.400 left in the wild. 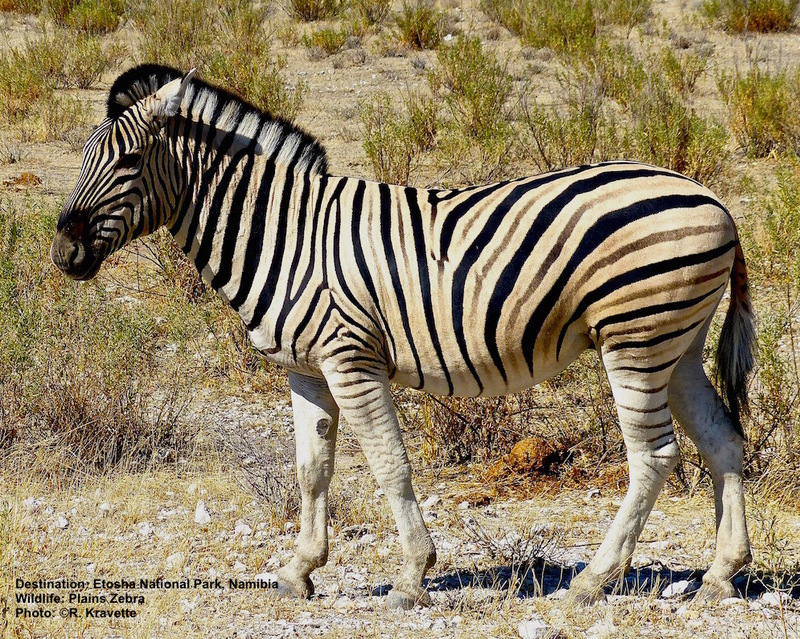 The Cape mountain zebra is usually smaller than the Hartmann’s mountain zebra. Coloring: see above. Possible Viewing Destination: Mountain Zebra National Park, South Africa. On the eastern Cape of South Africa, this reserve was established in 1937 to help preserve this quickly declining subspecies. View the park’s flora and fauna from your vehicle or for a more close-up view; try one of the hiking trails. Wildlife Bonus: Cape buffalo, black rhino, cheetah, caracal, black wildebeest, hartebeest, and grey rhebok. In 1882 the Emperor of Abyssinia (Ethiopia), Menelik ll thought this zebra species so regal that he presented one to the President of France, Jules Grevy. From then on it was known as Grevy’s zebra. The Roman’s used this species to pull carts in their circuses. Description: Beautiful, thin black and white stripes and a white belly. This species was extensively hunted for its beautiful skin. Look for big oval ears and a long mane. Their stripes are tighter and thinner than other zebra species. Grevy's nose is black with a brownish patch above and a white patch above that. Size: These are the largest of the three species standing about 5 feet (1.5 m) at the shoulder, a full 5 inches (12.7 cm) taller and 300 to 400 pounds (136 – 181 kg) heavier than plains zebra . Subspecies: There are no Grevy’s zebra subspecies: See below for viewing ideas. Possible Viewing Destination: Grevy’s Zebra Trust, Samburu District, Kenya. Established in 2007 to protect the Grevy’s zebra across its natural rangeland in Kenya and Ethiopia, this Kenyan registered, independent wildlife conservancy trust takes a grass roots approach to conservation. They work very closely with the local populations employing and involving multiple local tribes in habitat and wildlife solutions. Women, many of who have been widowed, are employed as scouts or ambassadors, local children now have access to education, and many of previously illiterate adults are learning to read and write. Employment and empowerment of the local population is fostering a sense that their wildlife is a national and cultural asset. See above, "Encouraging News" for more information on Grey's Zebra Trust. Wildlife Bonus: Giraffe, lion, leopard, buffalo. We want to hear about your zebra adventures and so do other wildlife lovers!